When she cries, there’s a good chance someone dies. …they have to keep their secrets hidden at any cost. Elysia Lovell’s mysterious heritage catches up with her, forcing her to go on the run once again. Grief-stricken and confused by her father’s disappearance, Elysia is led to a new place and discovers a family she never knew existed. Elysia’s quest for discovery and acceptance presses her to choose between revealing her true nature or letting her family die; controlling the weather has deadly consequences. You’ll love this fast-paced New Adult Urban Fantasy, because everyone enjoys a good adventure story. Werewolves, vampires, powerful Roma... this series has it all. Grab your copy now, and stay up all night reading! 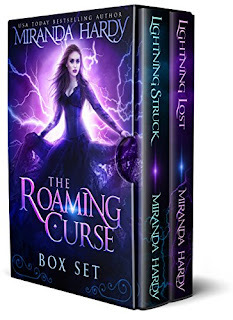 This box set includes all books in the Roaming Curse series, soon to be adapted for TV. It’s a story full of adventure, thrills, and romance. 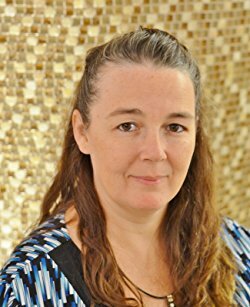 Fans of the Runaways, The Gifted, or the Fallen series will fall in love with the Roaming Curse series. Are you intrigued? Scroll up and click buy now to find out why readers love the Roaming Curse series. Save by buying the box set and enjoy excerpts of the author’s other books. Elysia Lovell's mysterious heritage catches up with her, forcing her to go on the run once again. Grief-stricken and confused by her father's disappearance, Elysia is led to a new place and discovers a family she never knew existed. Hiding her secret becomes increasingly difficult when her tumultuous emotions threaten to reveal her precarious gift. Colin Moore is reckless, impulsive, and entrenched in the family business: extorting townspeople and killing Roma. Tucked away in a small town, he didn't expect a storm to blow in. An exotic new girl shakes his foundation and places him on a dangerous path, one that may get him killed by his own people. Elysia sees past Colin's hard shell; Colin's certain Elysia won't understand who he really is, but the secrets they keep from one another have perilous consequences. Elysia's quest for discovery and acceptance presses her to choose between revealing her true nature or letting her family die. Fans of the Runaways, The Gifted, or the Fallen series will fall in love with Lightning Struck, the first book in the Roaming Curse series. 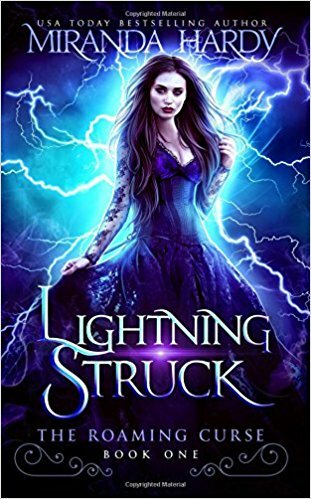 Miranda Hardy's "Lightning Struck" is the first tale in The Roaming Curse series. I couldn't put down this YA paranormal...and usually YA's just don't hold my interest. The mythology with the Roma and werewolves is very interesting. Elysia and her cousins sure have some neat backstories. I could almost hear the aunts talking. This would make a fun TV series. I can't wait to see what happens in the next book. Thera craved normalcy... a chance to live a life filled with generosity, peace, and love. Greed, and the need for power, consumed the people closest to her, the ones who were supposed to protect her. Presented with the choice to show kindness and strength, to usher in an era of reconciliation and prosperity, the leader of the Roma, Thera's father, choose a selfish, immoral path... one that would plague his people for thousands of years. Elysia's being hunted. Her gift is the key to breaking the Roaming Curse, but others are bound to protect it at all costs. Confused and scared, she'll have to learn from the history of her people in order to save them from annihilation. Loyalties are tested, and she's unsure they are worthy of saving. Her time is running out. The past and present collide, threatening a destruction of catastrophic proportions, not only for the Roma, but also for their Hunters. 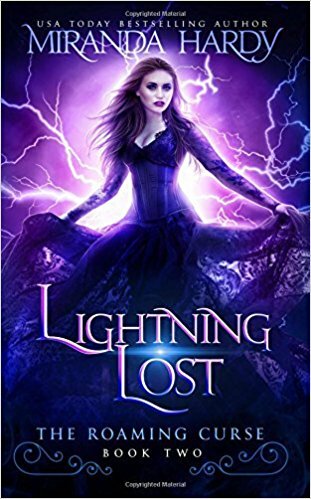 Lightning Lost, the second book in the Roaming Curse Series, will tug at your heart strings and lose sleep for days. It's filled with love, loss, excitement and understanding while it whips you into the past so you better understand Elysia's plight. Miranda Hardy's "Lightning Lost" (formerly called "The Hunters' Fate") is the second tale in The Roaming Curse series. 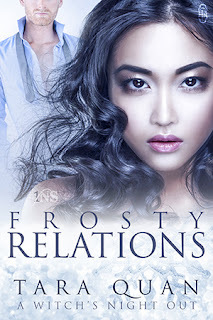 This is the conclusion of Elysia's story and a clean PNR/drama. Great writing, I couldn't put it down. Such a neat turn of events. I don't want to give away any spoilers. The historical flashbacks are amazing! I always love Miranda Hardy! This series would make a great movie.